Welcome to the Whitetail deer paradise! 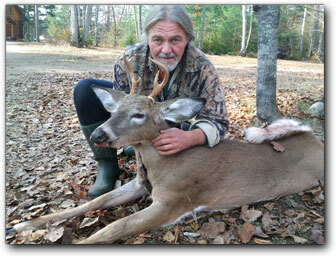 In the Upper-Gatineau, the sport of hunting represents a family tradition. Almost everyone in this region books a one or two-week annual vacation to enjoy nature and the challenges of this age-old challenge. As per the most recent Quebec Fish & Wildlife department aerial inventory in the "Outaouais" forest (2014), it is estimated that there are 38,000 Whitetail deer in the Western portion of our hunting zone (10)! 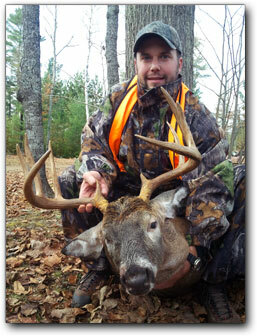 Mijocama Outfitter is located to the south-east of the largest wintering Whitetail deer herd of the "Outaouais" region, the "Thirty-One-Mile" lake. It is also a well known fact that there are many smaller wintering deer herds spread throughout the Upper-Gatineau territory. 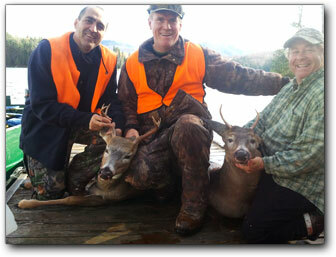 The deer population is very healthy in this region mainly because of the quality and variety of the bountiful found sources available. 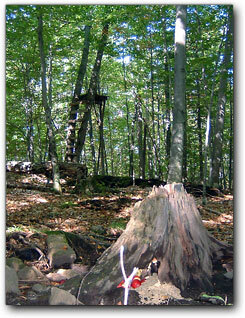 Furthermore, there is an abundance of deciduous trees across our forests all the way up to the "La Vérendrye" Wildlife Reserve. 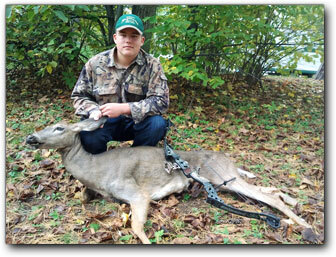 Thus the numerous beech, walnut, oak and other fruit-bearing leafy trees offer a variety of quality feed for the deer. The Upper-Gatineau has the most northerly broad-leaved forests that are the result of a microclimate along the Gatineau river valley that brings long hot summers to our region of the province. 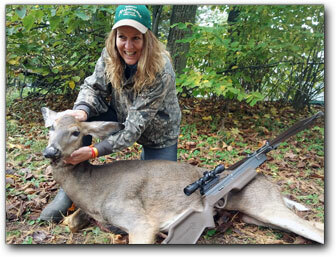 Because of these factors, the deer herd can profit and maintain a healthy and strong population. 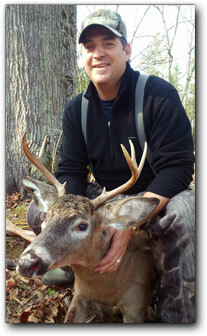 Please note that during the Whitetail deer hunting season, our regular accommodation rates do not apply. During this period, our accommodation rates (including territory access) are by individual only, according to the prices indicated in this page. Taxes, gas, services and permit not included ! Prices may also change without notice! From May 15 to June 20, 2018, Mijocama invites you to the challenging spring bear hunting season and offer you a variety of tree stands and camouflaged ground blinds situated in strategic locations to provide the hunter with a maximum opportunity of success. 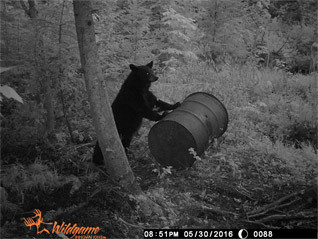 Our special baiting process has proven excellent to attract bears at an early stage in the season. 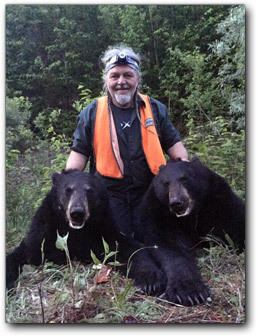 At Mijocama we offer you the opportunity to hunt Black Bear during both the bow/crossbow and rifle seasons at sites that are reserved uniquely for hunting this species. A visitor to our baits. 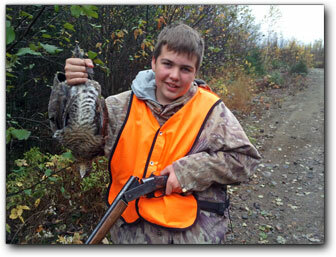 Around the end of november Mijocama Outfitter offers you the opportunity to hunt a variety of small game such as hare and partridge and also a variety of migratory birds including woodcock, ducks and geese.